Jen is so active, working every day, she has already gone through her complete list of volunteers. 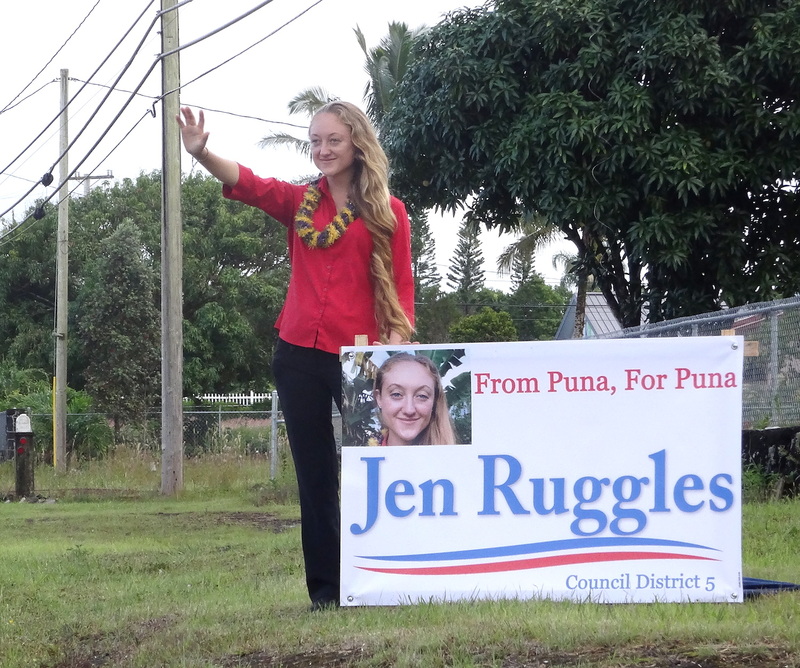 This week she began sign waving along the Pahoa Keaau Highway as she walks through the residences in her District. Even if you can donate only four hours a month to walk or wave with her, it will give Jen’s core volunteers time to catch their breathe and pick up another load of brochures. Mahalo. Jen is now signwaving along the Pahoa Hwy.